As college expenses have outpaced inflation, family income, personal equity and federal assistance nationally, private scholarship assistance is becoming increasingly vital for even the most resourceful and motivated student committed to completing an education at Gordon College. Today, 82% of Gordon freshman require financial aid coming in and 99% of Gordon students have required some form of financial assistance before graduation. As state and federal grants diminish, private scholarships must increase. If not, students will be forced to borrow more and more to finish just an undergraduate degree. They will begin their lives of service to the Gospel and in the marketplace with the burden of debt. This situation must be resolved. Gordon students have the potential to become tomorrow’s Christian leaders in all areas of society. They deserve opportunity to follow their calling and to reduce their concerns about how to pay the cost of higher education. For these students, endowed scholarships will create life-changing opportunities.  Creating an endowed scholarship at Gordon College is one of the most generous and impactful ways to ensure students Gordon continue to receive a quality Christian education well into the future. At the same time, you will establish your own family legacy. HOW DO I ESTABLISH A SCHOLARSHIP? Your gift of endowed scholarship will advance the personal transformation and worldwide service of Gordon graduates who “go forth” into the world with the message of the Gospel. We encourage you to establish a scholarship that embodies your values and creates a legacy for those values at Gordon for generations to come. The scholarship you create can be named in honor or memory of an individual. As donor, you may work with Gordon College to establish a particular set of criteria to determine the student recipient. The Church needs Christian leadership and commitment to the Gospel more than ever. The world needs them. With that conviction, Gordon College has committed to resolutely pursue endowed scholarships, to empower students for generations. It is our solemn promise to our students to provide for them. We have responsibility to serve them. Will you share our commitment?